Copper decorated with incised ornament. The infant Krishna is een stirring the pot of curd, helping his mother Yashoda to make butter. The tenons on the base indicate thast this image originally had a surrounding backplate. (prabha torana). 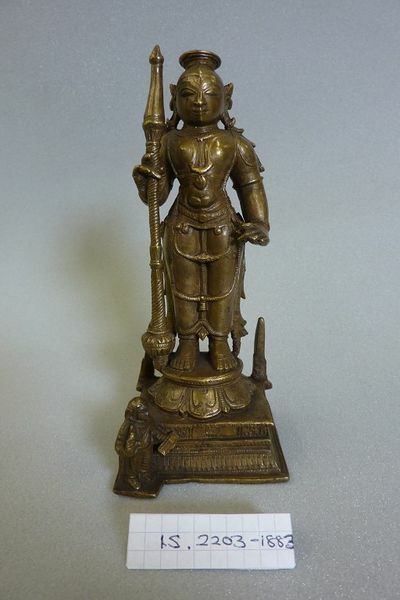 Balakrishna, copper, Tamilnadu, South India, 18/19th century. 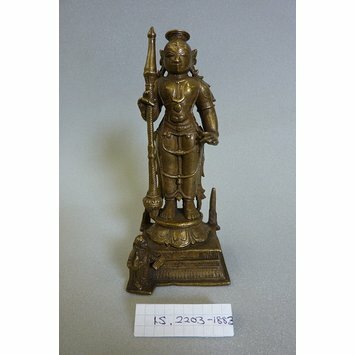 Tamilnadu, South India, Nayak Period.